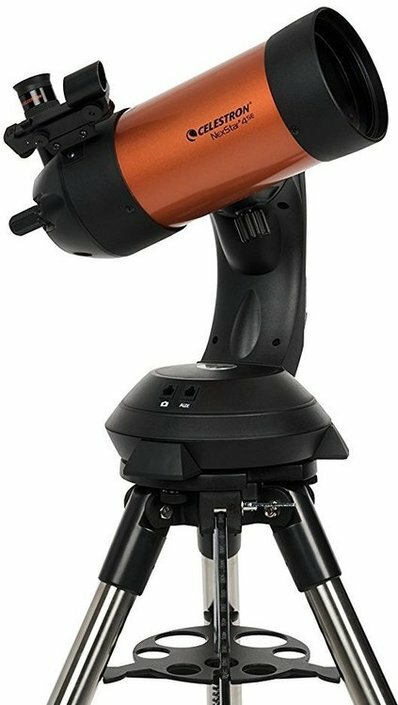 The Celestron NexStar SE telescope is part of the Nexstar series which is known for the high-quality finish of the telescopes and the use of fine hand-selected optics. 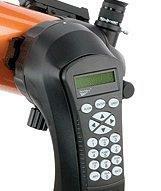 This also applies to the Celestron NexStar 4SE. This telescope has a Maksutov-Cassegrain design with a 102mm aperture. 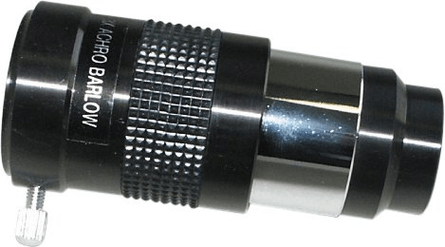 The telescope housing itself consists of high-quality aluminium. Due to the catadioptric construction the telescope can have a focal length of 1325mm. 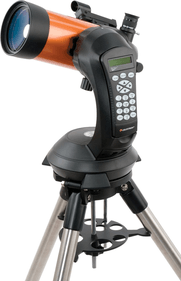 This makes this Celestron telescope very suitable for observing deep-sky objects. A StarPointer Red Dot finder is attached on the telescope with which you can quickly find celestial bodies. Battery-powered so a very mobile telescope! 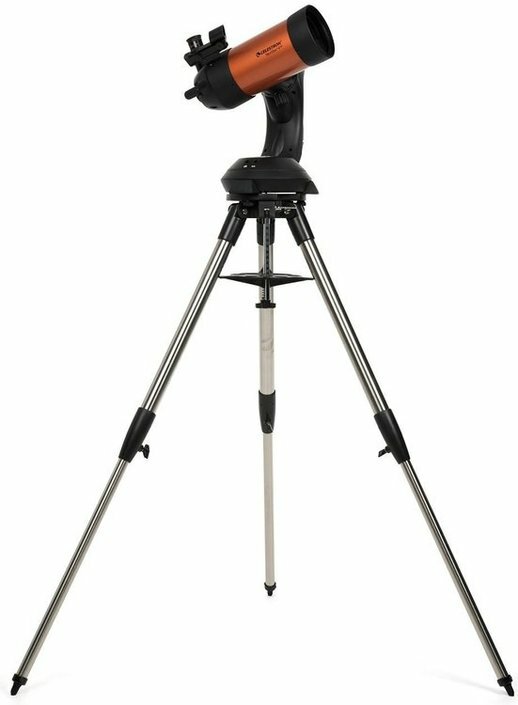 This Celestron telescope is supplied with a 25mm eyepiece which is compatible with any eyepiece fitting with a 1.25 inch diameter. 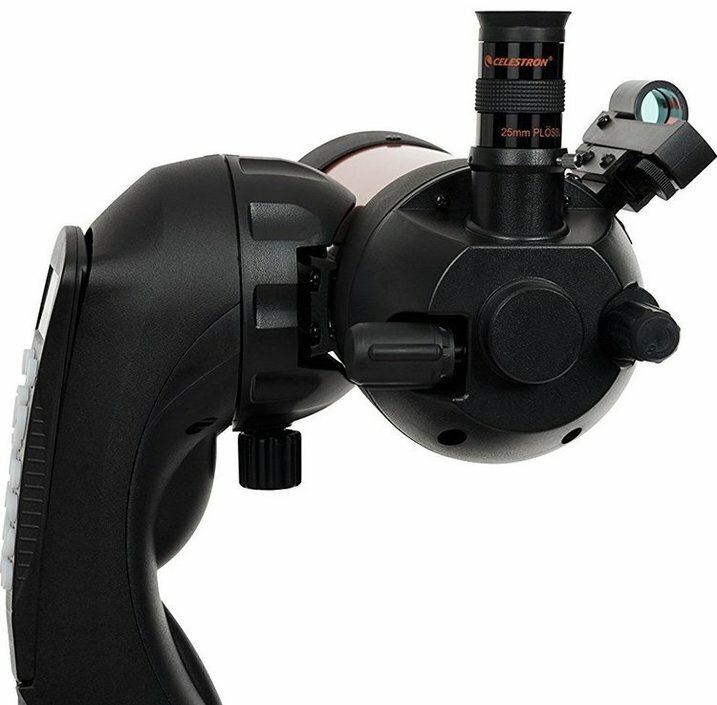 In conjunction with the focal length of this telescope it is possible to achieve a 53x magnification! 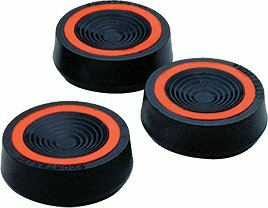 You can purchase an erecting eyepiece to have the image turned upright again. This way, it is possible to use the telescope as a spotting scope. 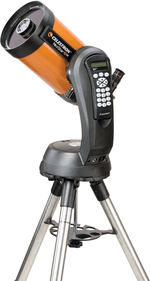 The striking orange Celestron NexStar SE telescopes are inspired by the legendary 'Orange' Celestron telescopes, as many connoisseurs will undoubtedly know. No other colour has acquired so much fame in the world of astronomy. The new orange Celestron NexStar telescopes are a homage to the orange Celestron C8 telescopes which were manufactured between the sixties and the eighties. 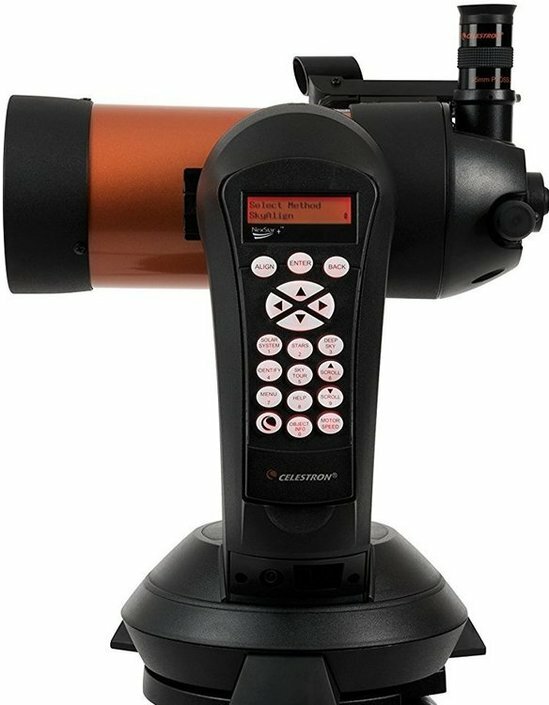 In the latter decade Celestron switched to a hip, shining black which effectively put an end to the orange era. 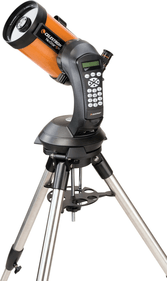 25 years later Celestron launched the new orange NexStar for nostalgic reasons and to carry on the Celestron tradition. We pay tribute to the orange colour! 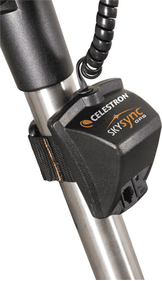 This tripod that comes with the Celestron Nexstar 4SE is very easy to collapse and set up. It is an altazimuth tripod with stainless steel legs. The tripod motor is entirely computer-controlled and with this motor you can easily keep tracking objects across the universe. 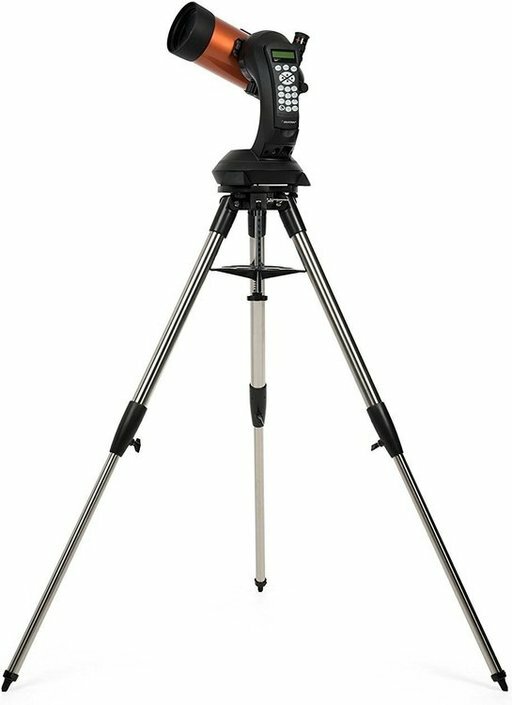 We very recommend this tripod if you are into astrophotography. 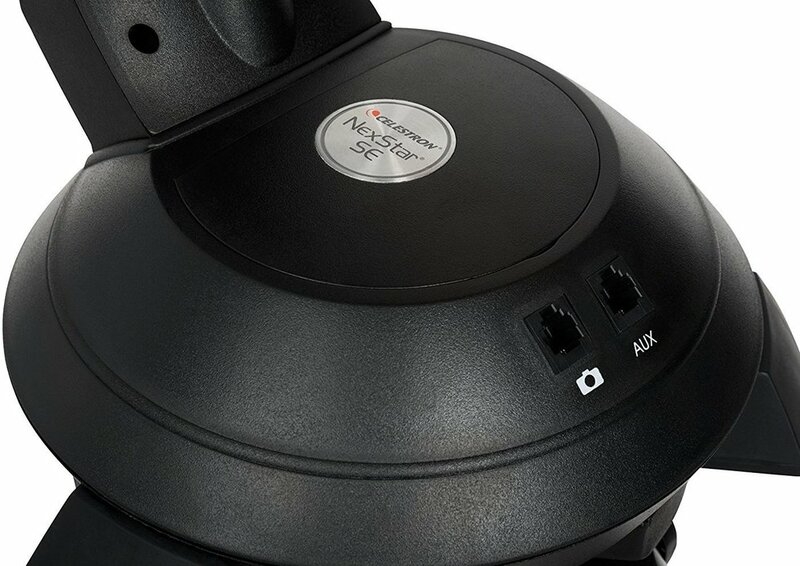 The tripod tracking motor is powered by AA batteries which are not included. 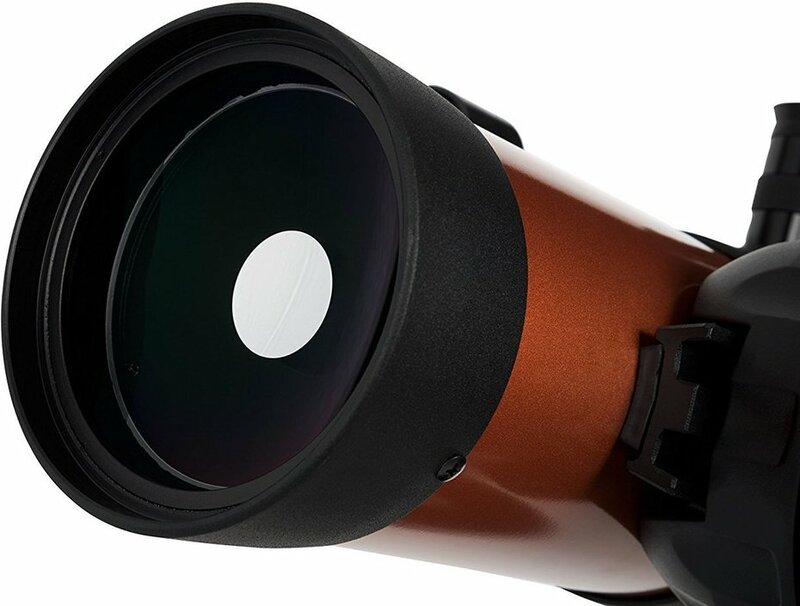 The 102mm mirror contains Celestron StarBright XLT coating. This coating distributes the light more evenly and this, in turn, enhances the light-gathering power and, thus, image contrast. 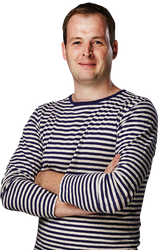 Celestron have used aluminium, titanium and magnesium, among others, to get a coating which is as effective and as strong as can be. 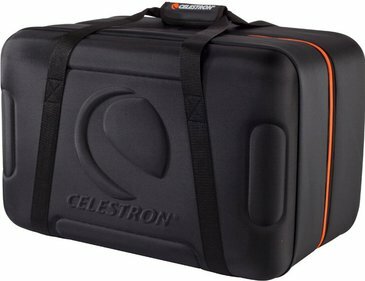 Celestron Nexstar 4SE accessories such as erecting prisms can be found on the right-hand side of this page! 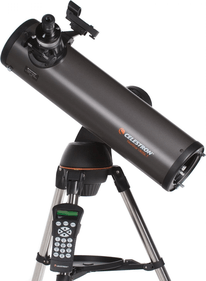 As mentioned before, this Celestron telescope is suitable for astrophotography. However, you do need the right camera adapter and T2-ring for this. 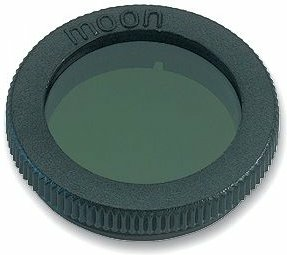 The telescope comes standard with a camera shutter cable which you can easily connect to your camera port. 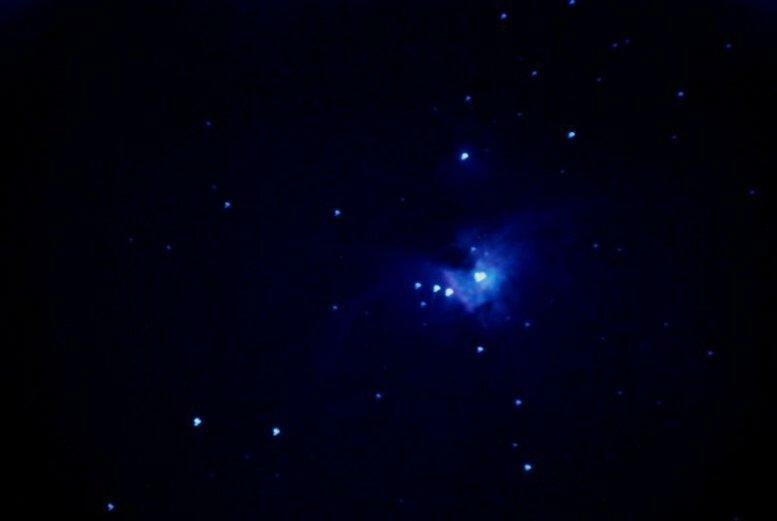 Below you will find two photographs which were taken using the Celestron NexStar 4SE telescope. 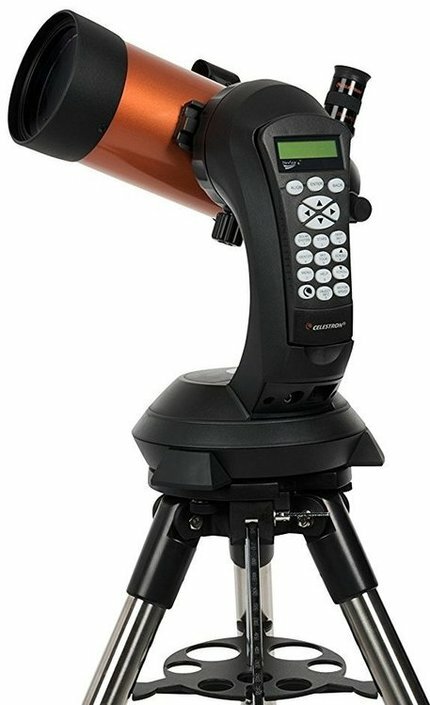 Reviews on the web of the SE4 Telescope made it sound as a very good and easy to use Telescope. This proves to be correct. As an Novice to the sport, I am over the moon as to the ease of use and a manual (user Guide) that is actually written in plain English. Build is great and it looks good. I like the substantial tripod and the feel of quality. I was only a little disappointed the the charger does not have a UK three pin plug but it does come with an adaptor. Easy to change if competent. All in all I am very pleased with my purchase. My boyfriend loves it. Set up easy. Quality excellent. 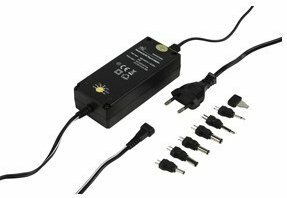 Ordered from the UK to be delivered to Portugal, fantastic service, brilliant team work. Exciting times ahead with the new toy. New hobby, all the pre-set stations on the telescope. The Telescope Planet was extremely helpful in making the right decision as to which telescope would be right for us. They explained about all the different types and what and where we would be using it. 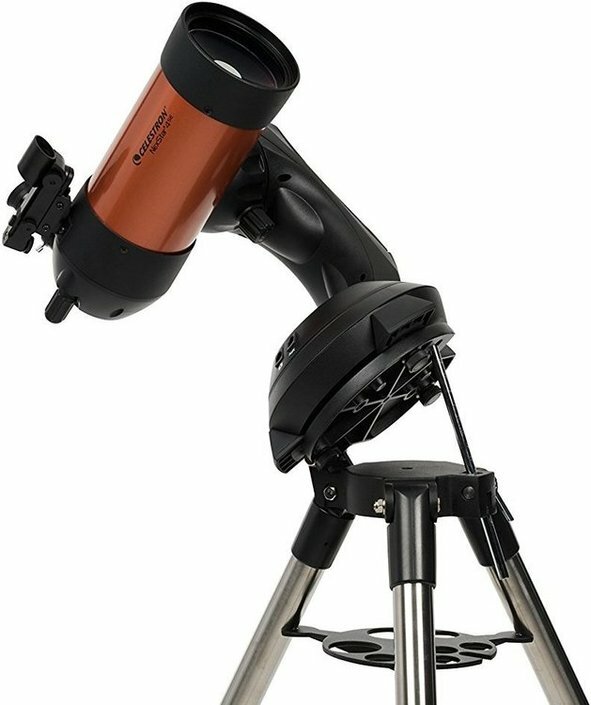 Great telescope for beginners or in this case a restarting hobbyist. 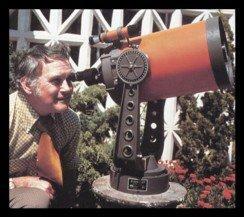 I'm still surprised at the ease of use of this GoTo telescope. Aligning within 2 minutes and then simply with a push of a button to the desired object. Works perfectly. 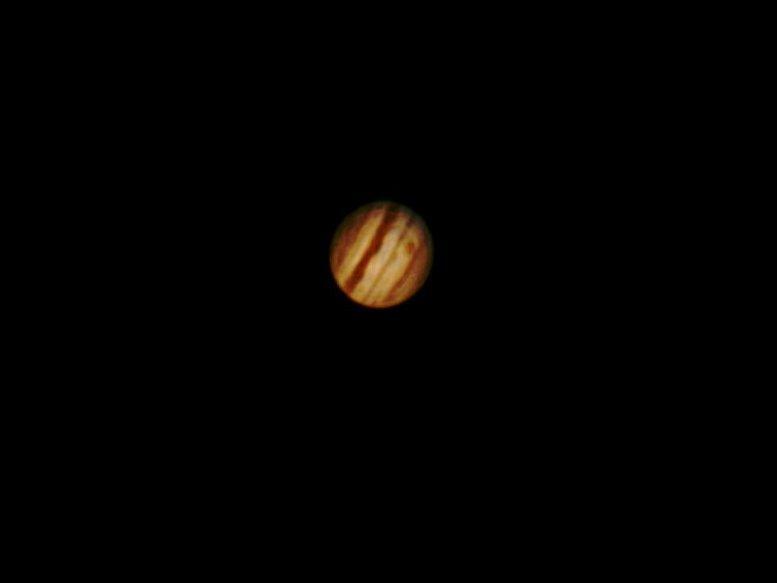 A first attempt to take pictures showed that the ALT-Z mount follows the stars pretty well with exposure times of 30s. In summary, recommended!